I have a 92 GMC Z71 I'm about to pull from and drop in my 87 YJ. I can keep my Jeep transfer case and buy an adapter, or I think I can use the Chevy NP241c that is in the Z71. Both transfer cases hook up with the shafts to the left (drivers side). This will be my first swap. The truck runs well. I've had it for a few years and don't need it. My Jeep doesn't run well. The 4.2 was rebuilt but now had some severe engine problems and still has the BA10 transmission. Transmission is good but I want to replace it anyway. Tips or advice about which way to go? Pictures attached. 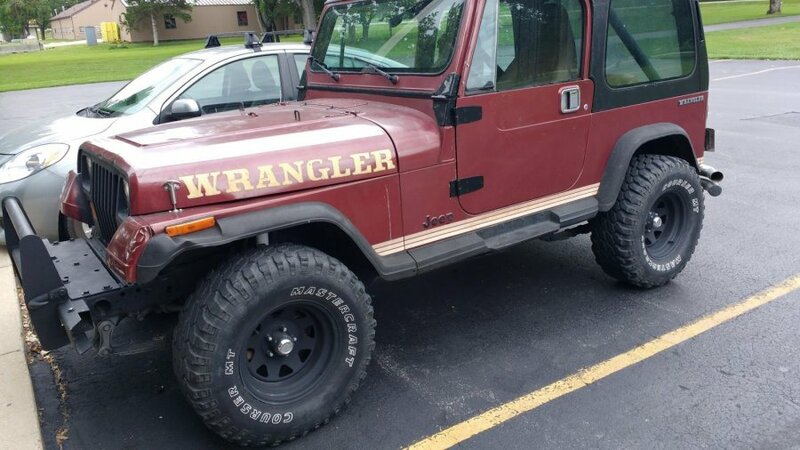 95 YJ, 2.5 NP231- 1" shackle, 4.0 tb, 19lbs injectors, e-fan, 31x10.5R15 Treadwright tires. 93 ZJ, 4.0 w/AW4 NP231 - 2" BB, 1 inch spring lift, 31x10.5R15 Cooper AT3 tires. In GOD we trust. It's a Jesus thing. After some research, I see I don't want to reuse the NP207 from the YJ anyway so I will be using the NP241c. Now to pick the SYE and what driveshafts to use. I'm going to swap the speedometer to an aftermarket electronic one so I don't have to do anything to the transfer case. 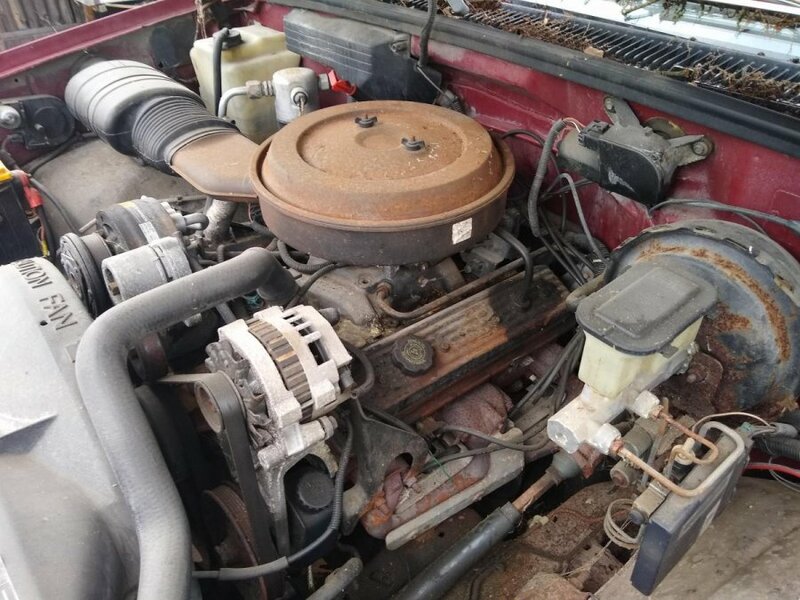 I'm probably naive, but it doesn't look like this will be that difficult of a swap since I am pulling the whole thing, engine to transfer case, out of a running vehicle. Wiring will come out intact also. I'll be using a frame mounted fuel pump and the factory sending unit. Looking at the JB NP241C HD SUPER SHORT SYE w/1310 CV Yoke for the SYE. Wondering what will have to happen for the front shaft. You'll get more response going to a specific model forum but I dipped in here so I'll answer some of your questions. I agree that what you're proposing is not terribly difficult but unfortunately, most answers aren't really black and white and it's not a quick weekend job. If everything went smoothly and you did weeks of prep work and nothing has to be redone, you might be able to knock it out in a weekend but consider that extremely unlikely case. So if you don't have a 3rd vehicle to get you to and from work for a week or two, this may not be the best choice. You can look at the link in my sig for my LS swap and get some ideas. If you use custom engine mounts like Novak or something, you'll have to resize both driveshafts and you'll probably have to hammer the tub to give yourself clearance. You'll obviously need a new rear driveshaft anyway since you're going to an SYE. Those engine mounts are expensive and just look like a PITA. I bought some generic engine mounts and marked where my transfer case currently is. Then I basically welded in the mounts so my transfer case was in the same place. For your situation, maybe just mark the yoke for the front driveshaft. The last option would be to search used driveshaft lengths and buy one that will fit after you get it all installed...or just have Adams or Tom Woods send you one with the new rear driveshaft once you've measured for that. The wiring might be a little tricky and you'll have to spend some time pouring over wiring diagrams for both vehicles. Do those vehicles have anti-theft system? If so, you'll need to get that removed from the ECU. You'll have to make a custom exhaust. You'll need to figure out a way to either adapt that transfer case to your skid plate or fab up a crossmember or skid plate to work. You'll need a floor/trans mounted shifter for your 700R4 and your transfer case since the transfer case shifters in jeeps are usually mounted to the transmission. You may or may not be able to reuse your throttle cable depending on length. I'm sure I'm forgetting plenty of things but those are some things to consider before you jump in head first. Thank you for the information. Thankfully, I am not using either vehicle. I'm not starting the conversion till July or early August. I didn't think about the throttle cable. I'll measure travel on the truck and make one to match on my Jeep. Currently making a list of things needed for the conversion. I was thinking about the advance adapters saddle mount for the 350. Reviews say it puts a gen I in place with enough clearance for the distributer and bell housing. It's more expensive but has a nice design. Since I was replacing the engine and transmission anyway, this project has a decent budget. I was going to buy a crate 4.2, ax15, and put in an np231 I have sitting around. When I thought about using the Z71 drivetrain it seemed like a better move in the long run. Eventually I would want to ditch the 4.2 anyway. Current fuel pump idea is the E-8095. Novak headers will be installed. Then I'll have a shop make the exhaust. I'll do custom shafts front and rear. Since it's longer and I'll be reducing the rear length, I'll welcome the extra length in the front. No alarms or anything on either. I'll probably build a crossmember for mounting. You bring up some good points and things I need to figure out still. Thanks again!